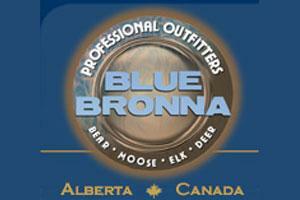 Directory of 13 Alberta Elk lodges, guides and outfitters in Alberta. Alberta Bush Adventures has purchased a limited quantity of Elk Allocations. These allocations were made possible because of the ever growing Elk population in our area of WMU 523. This provides Alberta Bush Adventures with an excellent opportunity to offer some very good Elk hunts from our Peace River camp. This area is on the fringe of wilderness and agriculture. This provides excellent habitat for Elk, as the agriculture provides high protein feed and the surrounding boreal forest provides natural feed, as well as, great cover & bedding areas. Alberta Bush Adventures can offer very good archery hunts starting in late August. This is when the Elk are vulnerable as they are fat & lazy from the previous summer, as well as, the beginning of the Elk rut. We can also offer rifle hunts starting mid-September. We feature guided horseback hunting for Elk, Mule Deer, Whitetail Deer, Shiras Moose, and Black Bear. Our ranch is 50 miles southwest of Calgary, Alberta, Canada and our hunting territory starts in the Alberta foothills, on the edge of the ranch, and goes west and south to the Continental Divide which makes up the Alberta / British Columbia border in the Canadian Rockies. This area roughly comprises about 1200 square miles of hunting area, all very mountainous and prime habitats for Deer, Elk, Moose and Black Bear. We have a short pre-rut bow season running from September 1st until September 16th. This is an awesome hunt with generally very good chances at 300” + bulls. Chances of encountering other hunters are slim and generally we have over 800 sq. miles to hunt in. We take only 4-6 hunters during this time and usually suggest two on one hunts as more than one bull is generally called in at a setup. Our success rate has been very high rivaling that of our rifle hunters. Alberta’s rifle season opens on September 17th which makes this one of very few places where elk can still be hunted during the rut with a rifle. This early season hunt has been very much in demand over the past few years and may be a prime reason for Blue Bronna achieving a 80-90% shot taken rate with greater than 70% take home rate. We ask hunters not to shoot less than a 5 pt. bull as small bulls are easy to call in and we generally can find a better bull during the course of a hunt. There is a large population of elk in the Peace River region of Alberta, Canada. Here you get the rare opportunity to elk hunt during the peak of the rut. These rifle elk hunts are done in a mix of public and private land on the farmland fringe using calling and spot and stalk tactics. You will have a great chance to get a mature, heavy 5 or 6 point bull scoring 250 to 300+. The hunting pressure is relatively low in most of our elk hunting areas. The elk are generally not difficult to locate as they can be very vocal. On good weather days, you may hear multiple bugling bulls. Occasionally even the bigger herd bulls will come charging into a bugle, giving the hunter a close shot. Our rifle elk hunts take place from September 17 to the 30th as a 6 day elk only hunt. We own the only 6 outfitter rifle elk tags in our zone. Your chance for success on our elk hunts is greatly improved by being physically fit. Even though we kill some elk in the farm fields, being able to hike the steep Peace River Valley or chase a rutting elk is a huge asset. Trophy elk bowhunts & rifle elk hunts in Alberta, Canada. Because of the ratio of forest and farmland, we have a very healthy elk population that is growing each year. Our elk bowhunts run late August to mid September and then the rifle season opens. The changeover between seasons happens right at the peak of the rut making the elk hunting both successful and enjoyable. The excitement created by a bugling elk is one that is not soon forgotten. Elk are wonders of the wild. If you have ever witnessed the call of a bull on a crisp autumn morn you know you are hooked for life. The rut elk hunt is the best opportunity for success. We offer both Archery and Rifle rut hunts. Let our experienced guides call in a 300+ bull for you and you will never forget the experience for the rest of your life. Our elk are large and we have good numbers. We hunt secret drainages and mountain meadows. We spot and stalk these great animals calling them within shooting distance giving you a real chance at success. Our bulls range between 260 and 350 B&C points. If you are looking for the opportunity to harvest a big rutting bull call and book today as hunts are limited. If you want an exciting elk hunting experience and an opportunity to get a big trophy, our elk rut hunt is for you. We offer guaranteed license and a limited amount of rut elk hunts, taking a maximum of 9 hunters each year. You will have a chance to see a number of bulls over the 3 point minimum. Elk hunting in Alberta is increasing in popularity every year. Elk numbers have doubled in the last 10 years in our area and we are now producing more and more mature bulls over 300 inches.